Place all ingredients except butter in a bowl and blend well for around 1 minute with a hand mixer. Let the batter rest for 20-30 minutes. (The batter can be left in the fridge overnight, in fact it will perform even better this way). Place a large non-stick fry pan (30 cm) on low heat and warm add butter, let it melt and take fry pan off the heat, swirling the butter around the pan. While pan is off heat spoon batter (3 heaped tablespoons per pancake) into the pan and gently spread the batter into thinner discs (10 cm) using the back of the spoon. 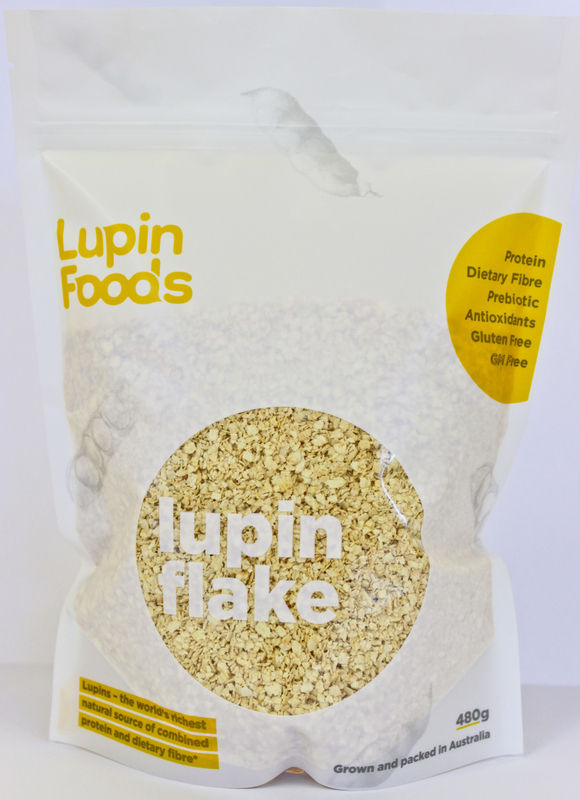 You will notice that the Lupin batter is thicker than traditional pancake mix. Place the fry pan back on the heat (low-medium) and cook on one side until bubbles appear then gently flip over and cook. Lupin pancakes hold more moisture and therefore take slightly longer to cook than traditional pancakes. It is important to monitor the heat so as not to burn them. 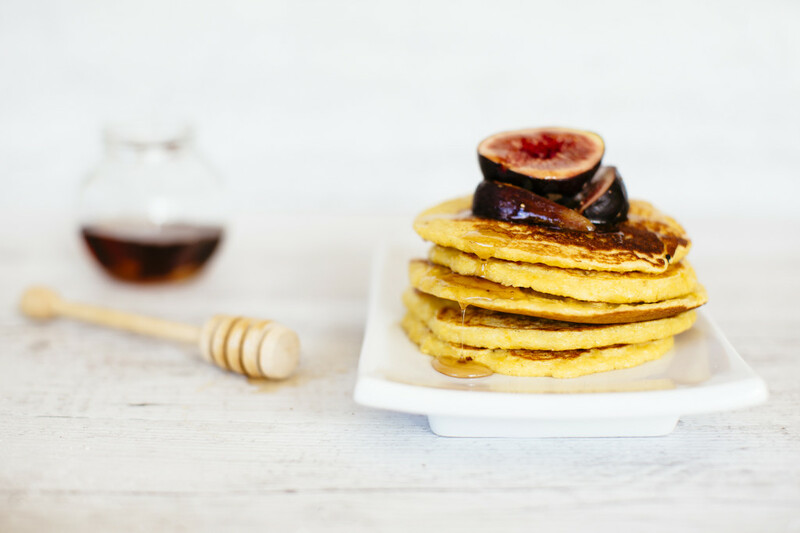 Dust pancakes with a small amount of icing or coconut sugar while still warm and serve with Greek yogurt and fresh fruit or compote.